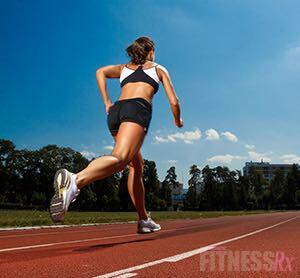 FitnessRX for Women > Training > Workout Tips & Advice > Sprint! I personally cannot stand the word “cardio.” For many people, it brings to mind repeatedly trudging along for 60 minutes on the elliptical machine or treadmill not getting significant results. This often leads to a woman feeling frustrated and believing that she will never really be in shape and fit. I don’t blame that person for feeling that way. When I speak to clients, friends and prospects, I always talk about conditioning instead of cardio. After all, you are conditioning your body to look great, feel great and to utilize more calories during a short, intense session. So, what is the answer to the ultimate “cardio” question? My answer is simple. Sprints. If you are training properly with weights and resistance two to three days per week, adding two days of higher intensity sprint training is going to skyrocket your results. When I talk about sprinting, I mean an all-out effort. That said, it’s an all-out effort for YOU. You’re not going to be a Carl Lewis in the beginning, but with more practice and strength training, you will get faster. The key is to push your effort during each set. This is not traditional cardio where you have to maintain a certain speed for several minutes. You’ll be done in 15-30 seconds, so give it your ALL and then rest. Here are just a few reasons why sprinting is an incredible addition to your training routine and will work for trainees at any level. A study from 1994 supported the theory that sprints are superior to steady state cardio for fat loss in a shorter amount of time. Participants did either 20 weeks of steady-state aerobic training or 15 weeks of intervals (15 sprints for 30 seconds each). The interval group lost nine times more body fat and 12 percent more visceral belly fat than the aerobic group. A 2010 study found that just 6 sprint sessions of six 30-second all-out cycle sprints with 4 minutes rest over 2 weeks led to a leaner waist by 3 cm. and a much greater use of fat for fuel. For a lot of women, this statement is scary, but I know that is not the case for you. You know that having muscle is awesome and feminine—plus, it helps to increase your resting metabolic rate (more calories burned when you are not training), supports healthy bones and decreases the risk of injury. 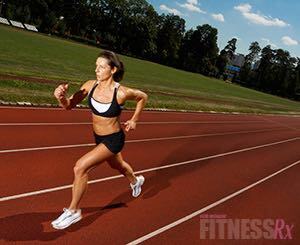 Sprints have also been shown to increase Growth Hormone production and that GH surge helps to burn fat and build lean muscle. Alternating high work rates with short rest periods (interval training) has been shown to improve insulin sensitivity and blood sugar tolerance. What does that mean in regular language? Basically your body will respond better to carbohydrates, process them quicker and they won’t get stored as annoying and clingy belly fat. Am I suggesting that sprints are the end-all, be-all for mental illness? Nope. But, we know that exercise can release a surge of feel-good hormones and sprint training does this very well. Sprints help you to feel energized and strong and it also improves hormone balance and decreases inflammation in the brain. We’ve all done it. If you’re pressed for time, a short sprint session will do the trick. 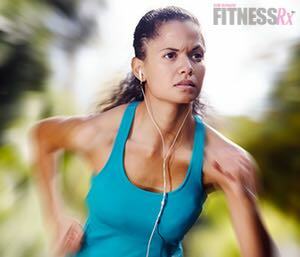 These workouts are meant to be quick and intense, so plan these in on the time-crunched days! All that said, the number one reason that sprinting is essential in your program is that you want to look AWESOME. It will absolutely do that! So, here is exactly how to set up your training week. Two – three days of structured strength training and two days of sprints, and you will not only look awesome, you will be awesome. This will take you about 15 minutes of actual work. You should spend about 8-10 minutes on your warm-up (this is super important before you sprint). This workout should take no more than 25 minutes at maximum. Be sure to “Like” this post on Facebook and leave a comment if you are doing a sprint workout this week.